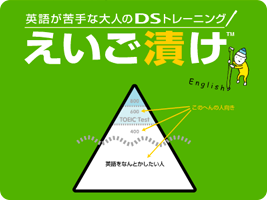 A series of English learning tools, presented by Dzuke. The games were released exclusively in Japan and mainland Europe. You are taught basic English through to conversational English in a series of written and spoken tests. You are shown a chart of your progress over time as well.